Canada is one of the first countries to introduce a points-based immigration system, way back in 1967. 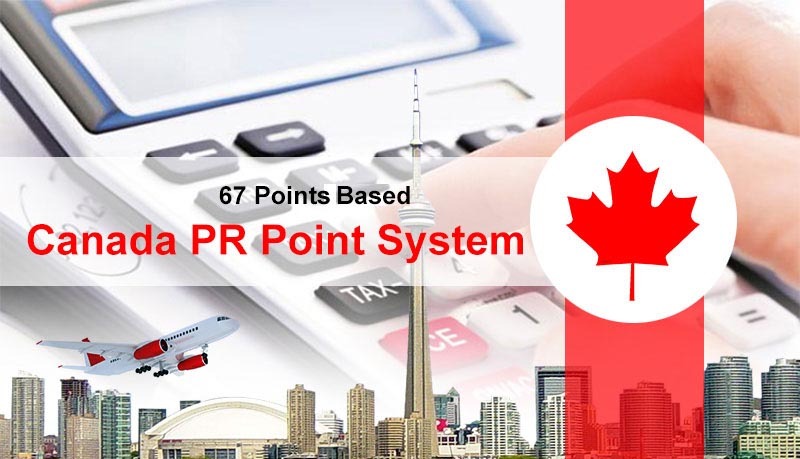 In order to be eligible for permanent residency in Canada, the applicant must hold a good score based on the Canada PR Points Calculator. Also, known as the Comprehensive Ranking System(CRS). The Express Entry Points are used to assess and score your profile and rank it in the Express Entry pool. Skills, educational qualifications, proficiency in Language, work experience and other factors are some of the parameters, of your CRS scoring. A defining factor of your CRS score is the Canada Immigration Points for IELTS, that you can score with practice, online IELTS coaching or Practice tests. Your score on the IELTS platform elevates your initial score to an entirely new level. To qualify for Canada Immigration, you must be able to secure a score of 67 points. Under the Express Entry Program, you will be able to access your profile for Canada Immigration. Your Express Entry Points will determine your ranking within the pool. The higher the score, more are the chanced of receiving an Invitation to Apply from the Immigration, Refugees and Citizenship Canada (IRCC). To check your eligibility for Canada Immigration you can use this table which is a very handy tool to give you a glance at Canada PR Point System, and you can self evaluate your profile for Canada Immigration under Express Entry Program. To qualify for the same you need to score at least 67 points based on the following point system.